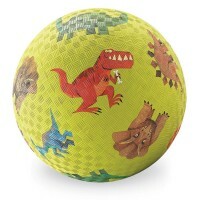 The Penguins 5 inch playground ball by Crocodile Creek is a deluxe quality play ball for outdoor play or indoor active fun. Meet the favorite birds of Antarctica - penguins! 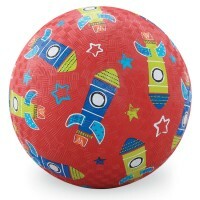 Kids will love playing with this kids rubber ball in the backyard, in kids gym, or on the school playground! 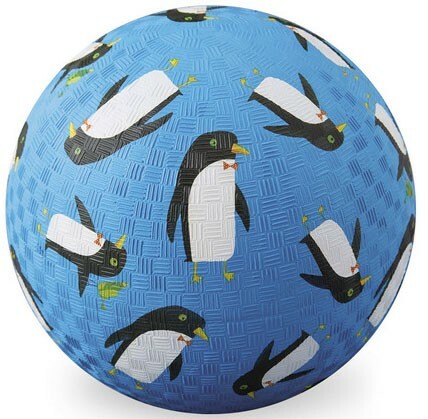 Penguins 5 Inch Blue Play Ball by Crocodile Creek is a amazingly illustrated playground ball of superb quality and smaller size. 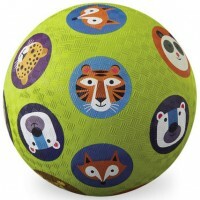 This terrific play ball features kids friendly images of adorable penguins. 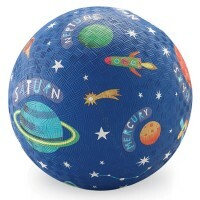 This kids ball from Educational Toys Planet is made of natural and synthetic rubber. 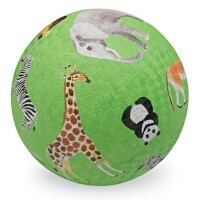 The children play ball features attractive colors and great texture that make it easy to grip. The penguins playground ball is 5 inches in diameter, just perfect for kids outdoor play. 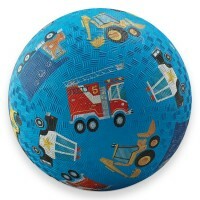 Write your own review of Penguins 5 Inch Blue Play Ball.